Are you ready to get your word on? The 89th Scripps Spelling Bee is officially underway in Washington D.C. This year 285 students from across the county are vying for the title. Ohio has 19 students entered into the competition, with six being from Northeast Ohio. Riki Kaiser, a seventh grader at Bloomfield-Mespo Middle School, is hitting the big stage for the first time. Kaiser said the faster she can spell a word, the better. "I just see the word in my head and spell it," she smiled. 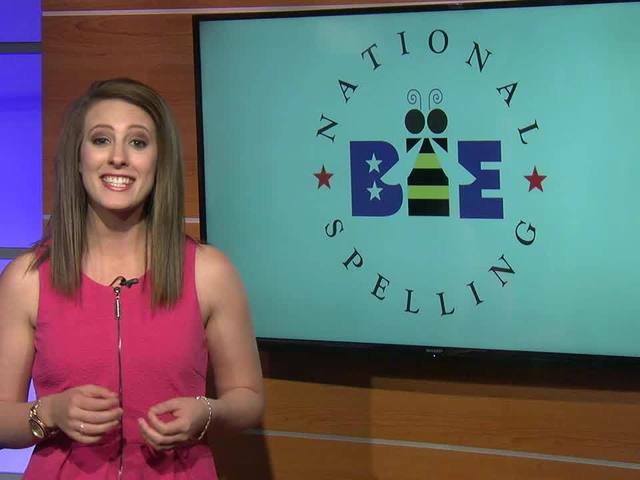 The North Bloomfield native said she spent most of her time studying roots and bases to prepare for the spelling bee. Kasier is the first student ever from her school to advance to the Scripps Spelling Bee. Kaiser is speller No. 194. Another first time contestant is an eighth grader from Painesville: Logan Bell. Bell, a John R. Williams Jr. High student, said he wants to at least make it to the third round. His strategy is to write the word on his arm with his finger before spelling it back to the judges. "It’s easier to help visualize the word, because if I’m just standing there starring off into space sometimes I can get a little mixed up with the letters I’m trying to say," Bell said. Bell said he studied nearly two hours every night to prepare for the big stage. Bell is speller No. 195. Meanwhile, Stark County resident Shiv Dewan is heading back for this second round of competition. Dewan was knocked out after the third round of the 2015 Scripps Spelling Bee. "If I've learned anything from last year, it's that no matter how much you prepare you have to be calm on stage because the worst thing to do is to fear if you're going to move onto the next round or be eliminated... and you're most likely going to spell the word wrong," Dewan said. Dewan had some advice for first-time spellers. "Have fun. Be happy for each other, who ever the winner is, just do your best and be confident," he said. Dewan is speller No. 181. The Scripps Spelling Bee airs on ESPN.